Everyone deserves a chance to vote. Period. When the voting deck is stacked against Democrats, it’s time to fight back. I’m not talking about bringing in high-profile speakers like President Obama to rally the base at candidate rallies, although that certainly helps. I’m talking about taking concrete actions to help people whose votes are being suppressed or voters whose access to the polls is being severely limited. Donald Trump and Republicans keep harping on the “problem” of non-existent voter fraud. It’s the scare tactic the GOP keeps using to make it harder to cast a ballot. Voter suppression can mean the difference between victory and defeat. It’s why the Georgia Republican candidate for governor, Brian Kemp (also coincidentally the guy in charge of voting rules as secretary of state) is frightened of Democratic candidate Stacey Abrams’ voter turnout operation, “especially if everybody uses and exercises their right to vote,” as he was recorded saying at a fundraiser. There are groups across the country going above and beyond the usual efforts to challenge voter suppression in the courts, to help voters get the needed IDs, and to aid voters in actually getting to the polls on Election Day. Many groups have always helped in those efforts, but as Republican-controlled legislatures pass more draconian voter-ID laws, voter suppression efforts, and voter access hardships, more and more have stepped up to try to ensure that every voter has a chance to have his or her voice heard. These are just a few of those efforts. Let’s call them the voting heroes. 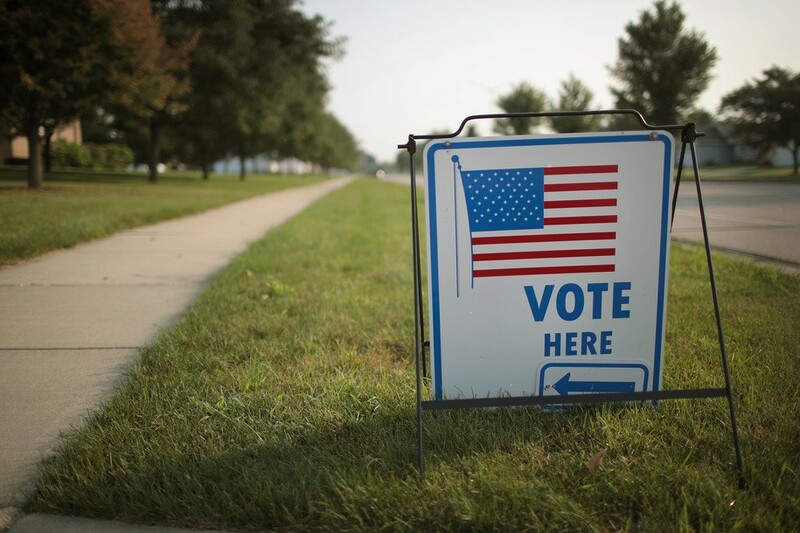 A new report by three political scientists from Northern Illinois University, Jacksonville University, and China’s Wuhan University studied factors about ease of voting in each state and how those factors affected voter turnout. They created a “Cost of Voting Index,” or the time and effort it takes to vote, which takes into account 33 different variables dealing with registration and voting laws. The study is published in the September issue of the Election Law Journal. Differences in registration deadlines carried the most weight in developing the index. For the most part (but not universally true), it was easiest to vote in states led by Democrats, and hardest to vote in states led by Republicans. Oregon led the pack for ease of voting with its automatic voter registration and its ballots that are mailed to every voter. The state with the most barriers to voting is Mississippi, with required ID, no early voting, and no “no-excuse” absentee voting. Those findings strongly suggest that high turnout in some states is at least partly a direct consequence of choices made by policymakers to expand access to the ballot box. The converse would also be true: The low turnout rates seen in places like Mississippi, Tennessee and Texas are in part a result of lawmakers’ deliberate efforts to make voting harder. Let’s look at a few examples of voter suppression and the voting heroes who are fighting back. Kemp has blocked 53,000 new voter registrations from being processed, calling them “pending.” Kemp cites the “exact match” requirement, passed by the GOP Legislature in 2017, in which a signature, a hyphen in a name, or a typo is enough to stop a registration from being processed. It’s also no coincidence that 70 percent of those “pending” registrations are for African-Americans. A coalition of voting advocacy groups, including the Campaign Legal Center and the Lawyers’ Committee for Civil Rights Under Law, has filed a lawsuit. A spate of negative publicity forced Kemp to tweet that those 53,000 voters could still vote, and several media reports are telling voters to show up at the polls and bring ID to prove who they are. They can still cast a regular — not provisional — ballot. “Voters who prove ‘substantial match’ between their voter registration and ID can cast normal ballots, not provisional,” according to a story in Atlanta Magazine. Besides the new voter registrations, Georgia election officials also were rejecting absentee ballots based on the “exact match” requirement, an action challenged by several groups, including the ACLU. A federal judge has now blocked the state from throwing out those absentee ballots, issuing a temporary restraining order allowing those voters to confirm their identity by the “substantial match” standard. Georgia officials announced plans to appeal. The NAACP filed complaints alleging that some old voting machines in two Georgia counties were changing votes that were cast for Abrams into votes for Kemp. Officials in Jefferson County, Georgia, ordered black voters off a bus taking the senior citizens to an early voting site. The county officials gave a series of contradictory excuses for their actions. Candidate Stacey Abrams joined them for a voting rally, and several of the voters went to the polls on their own. And the action proved to be nothing but bad publicity: The voting advocacy group Black Voters Matter reports that most of the seniors removed from the bus have now voted. Kemp (again!) and voting officials recently erased the voter registrations of over 100,000 voters just because they hadn’t voted in recent elections, the result of a “use it or lose it” voting law. This is on top of a purge of half a million voters in 2017. Voter action groups responded by reminding people to check and re-check their voting status, and re-register if necessary. Suing officials for purging voters. At least nine states, most under GOP control, now have “use it or lose it” voting laws. A story from American Public Media Reports says states “have purged an estimated hundreds of thousands of people from the rolls for infrequent voting since the 2014 general election. States with these policies are removing voters at some of the highest rates in the nation, no matter the reason.” Infrequent voters, the story adds, tend to be younger, poorer, and people of color who are more likely to favor Democrats. A report from the Center for Media and Democracy estimates that as many as 700,000 voters may have been purged in Wisconsin alone since 2016. There have been multiple suits challenging such laws — most famously in Ohio — but the Supreme Court ruled that the laws were not illegal. It will take a change in the makeup of state legislatures to reverse those laws. Fighting cuts to access to polls. There are way too many stories of GOP state officials conveniently (for them) closing polling places or limiting early voting in areas more likely to vote Democratic. These areas include college campuses, urban areas, and areas with higher concentrations of minority voters. Here’s one example: In Texas, the NAACP Legal Defense Fund sued Waller County for limiting early voting opportunities for students at Prairie View A&M University, a historically black college. The students have only five days of early voting, with no voting on evenings or weekends. Even though there are more students at Prairie View A&M than there are white residents of the city of Waller, Texas, Waller has early voting for two weeks, plus evening and weekend voting hours. Will the suit do any good? Well, it is Texas, and the U.S. Supreme Court already has shown it has no interest in helping voters in underserved areas. But you’ll never get anywhere without a fight. Free rides to the polls. For weeks, the ride-sharing service Lyft has shared the message through social media that it will offer free rides to the polls for voters who otherwise would have trouble getting to their voting stations. It teamed up with Voto Latino, the Urban League, and the National Federation of the Blind to offer free rides on Nov. 6, and worked with Vote.org, Nonprofit Vote, and TurboVote to offer half-off coupons. Not to be outdone, the ride-sharing service Uber joined the free-ride train. Uber has partnered with Democracy Works and #VoteTogether to share that message through social media. Uber and Lyft could get big usage on Election Day. Pew Research data from 2015 reported that only 15 percent of Americans used ride-sharing. But lest anyone thinks Uber and Lyft are used only by the wealthy, millennials, or those in urban areas, estimates of who uses ride-sharing services (tracked by credit card usage) is now as high as 43 percent of Americans. One of those places where the offer will come in very handy is in Dodge City, Kansas. There, the idea of making it ridiculously hard for voters to get to the polls went to a whole new level. For years, Dodge City, a city of 27,000 residents that is now majority Latinx, had only one polling site. Now it doesn’t even have that. The polling place has been moved outside city limits and is more than a mile from the nearest bus stop. It’s no coincidence that Secretary of State Kris Kobach, who is running for governor in a tight race with Democratic state Sen. Laura Kelly, is conveniently in charge of voting in the state. Lyft and Voto Latino to the rescue. And there’s a donation link to help the effort. #DodgeCity #Kansas, is a Latinx -majority city that has had it’s ONLY polling location moved outside of city limits w/out access by public transportation. These laws are always unacceptable, whether or not they swing elections. If the state is going to put a hurdle in front of voters who wish to cast a ballot, it should offer a good reason for doing so. Thanks to the Supreme Court, the states are not really even trying to offer those reasons anymore. It’s outrageous, and it deserves everyone’s condemnation. It takes resources away from campaigning and get-out-the-vote efforts. It undermines the equality and dignity of each voter. One day, maybe we won’t have two Americas, but a single America, where every eligible voter will be able to easily register and cast a ballot that will be fairly and accurately counted. One might have expected we would have had that by 2018. We must keep fighting and — above all else — keep voting. Originally posted on Daily Kos on Oct. 28, 2018.